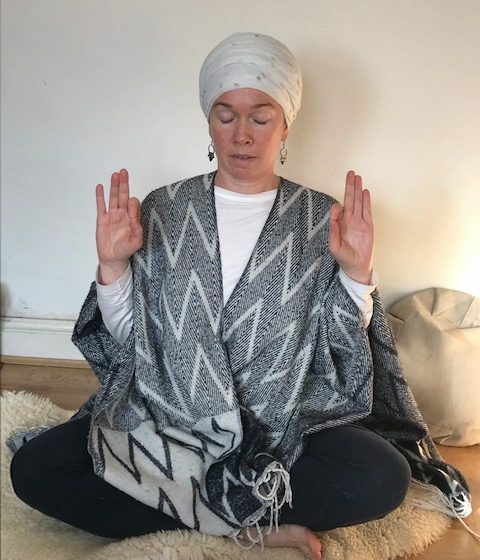 This isn’t the first time I’ve featured Chiia Kriya on this blog, but I’m a big fan so I’m flagging it up again. A supersonic meditation to keep in our kundalini yoga toolkit, it constructs an impenetrable protective forcefield around us so nothing, and I repeat nothing, can touch us. I sit down to Chiia Kriya when I’m feeling a bit wobbly, and it puts me back on track. Feeling insecure? Do Chiia Kriya. Having a tricky time with bullying or psychic attacks? Chiia Kriya will help you. Living in a crazy city like London? Cement Chiia Kriya in your daily sadhana! It works with a mantra, Har Harey Haree, Wahe Guru. Har – the seed of an idea. Harey – the process of bringing that idea into fruition. Haree – the manifestation of that idea into reality. Wahe Guru – the joy of realisation, enlightenment, realisation. There are some great recordings of the mantra to practice Chiia Kriya with. I like The Underlying Stars – Stir.